SPEED RACER From writer/directors Larry and Andy Wachowski, the creators of the groundbreaking “The Matrix” trilogy, and producer Joel Silver comes the live-action, high-octane family adventure “Speed Racer.” Hurtling down the track, careening around, over and through the competition, Speed Racer (Emile Hirsch) is a natural behind the wheel. Born to race cars, Speed is aggressive, instinctive and, most of all, fearless. His only real competition is the memory of the brother he idolized—the legendary Rex Racer—whose death in a race has left behind a legacy that Speed is driven to fulfill. Speed is loyal to the family racing business, led by his father, Pops Racer (John Goodman), the designer of Speed’s thundering Mach 5. When Speed turns down a lucrative and tempting offer from Royalton Industries, he not only infuriates the company’s maniacal owner (Roger Allam) but uncovers a terrible secret—some of the biggest races are being fixed by a handful of ruthless moguls who manipulate the top drivers to boost profits. If Speed won’t drive for Royalton, Royalton will see to it that the Mach 5 never crosses another finish line. The only way for Speed to save his family’s business and the sport he loves is to beat Royalton at his own game. With the support of his family and his loyal girlfriend, Trixie (Christina Ricci), Speed teams with his one-time rival—the mysterious Racer X (Matthew Fox)—to win the race that had taken his brother’s life: the death-defying, cross-country rally known as The Crucible. Slated for release on May 9, 2008, “Speed Racer” marks the Wachowski brothers’ first writing/directing collaboration since “The Matrix” movies. Joel Silver, who previously worked with the Wachowskis on “The Matrix” movies and “V For Vendetta,” is producing the film under his Silver Pictures banner. The film stars Emile Hirsch (“Alpha Dog”) as Speed, Christina Ricci (“Black Snake Moan”) as Trixie, Matthew Fox (TV’s “Lost”) as Racer X, and Oscar winner Susan Sarandon (“Dead Man Walking”) and John Goodman (“Evan Almighty”) as Mom and Pops Racer. Rounding out the main cast are Australian actor Kick Gurry (“Spartan”) as Sparky; Paulie Litt (TV’s “Hope & Faith”) as Sprittle; Roger Allam (“The Queen,” “V For Vendetta”) as Royalton; and Asian music star Ji Hoon Jung (popularly known as Rain), making his major feature film debut as a rival driver. Based on the classic series created by anime pioneer Tatsuo Yoshida, the live-action “Speed Racer” will showcase the kind of revolutionary visual effects and cutting-edge storytelling that have become the benchmarks of the Wachowski brothers’ films. 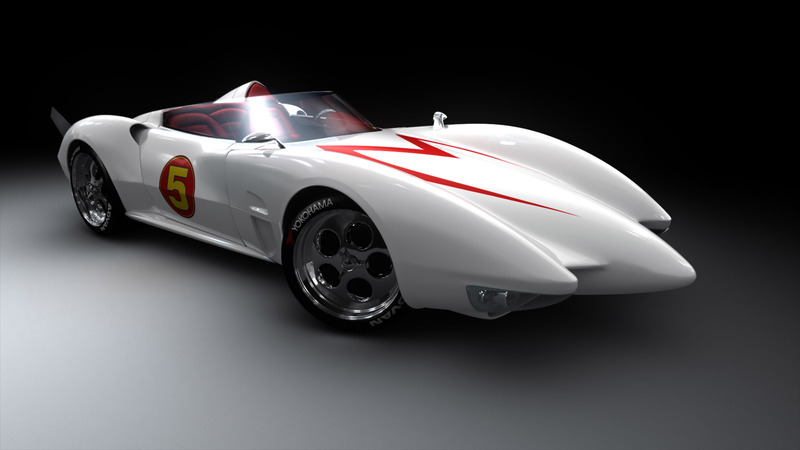 “Speed Racer” is a Warner Bros. Pictures presentation, in association with Village Roadshow Pictures, of a Silver Pictures Production.